Anyway, after watching a movie so many times, you begin to notice all kinds of funny things. Small things. Things that nobody would notice after only a few viewings. There are certain tiny details in the movie that you grow to appreciate and look forward to seeing with each successive viewing. Conversely, there are also certain aspects of the movie that you grow to dislike. 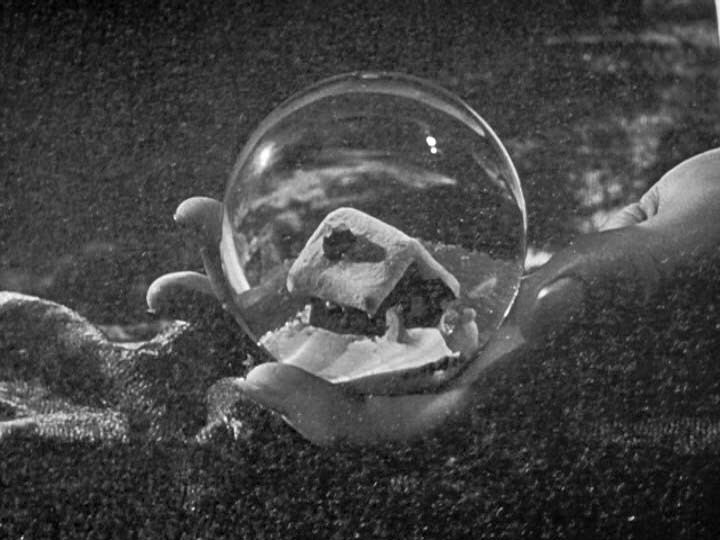 This post is nothing but a collection of random and, I hope, amusing observations about Citizen Kane from a man who has, by any objective standard, viewed it too many times. 1. Agnes Moorehead, who plays Mrs. Kane (Charlie’s mother) only appears in three shots in the entire movie. I’ve always noticed how the shots in which she appears are “long takes” but I never bothered to actually count them until recently. I was astonished to find that her scene consists of so few shots because her character is so important and makes such a big impression that it seems like she’s in many more shots than she is — and that her screen time is greater than it is. 2. Agnes Moorehead gives my favorite performance in the film. 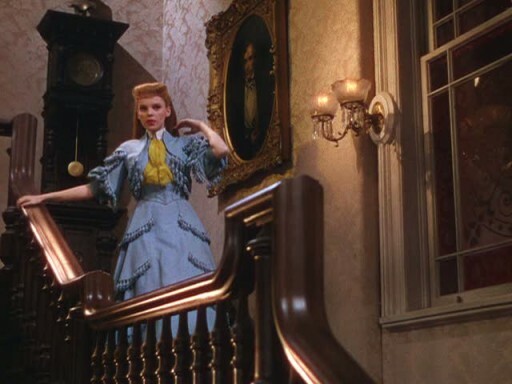 Like most of the rest of the cast, she was a theatrical actress making her motion-picture debut and, while one tends to think of theatrical acting as “broad” (since stage performers have to play to the proverbial “cheap seats”), her performance is the most naturalistic in the film. The best moment is when she says, in close-up, “I’ve got his trunk all packed. I’ve had it packed for a week now.” Her face betrays no emotion when she says this. Her line reading is almost entirely flat and neutral, and yet her voice becomes breathy and just the tiniest bit higher-pitched on the words “week now,” which indicates that her character is heartbroken at having to send her son away. 4. One of the funniest moments in the film is one I didn’t notice at all until I had seen it many times. When Kane gives his “Declaration of Principles” to Solly, the copy boy, and asks him to run it on the front page, Solly is smiling and seems bemused at having to “remake” the front page again at Kane’s insistence. Then, when Leland asks Solly to bring him the declaration after he’s done with it (because Leland feels it will become an historically important document), Solly turns to leave and visibly rolls his eyes. The implication is that Solly likes Kane but not Leland. Ever since noticing it for the first time, it’s a moment that never fails to make me laugh. 5. My favorite bit of acting from Orson Welles comes during his gubernatorial campaign speech, specifically the line, “I would make my promises now . 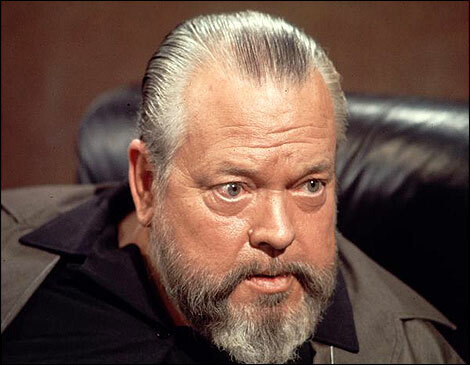 . . if I weren’t too busy arranging to keep them!” The way Welles leans into the crowd, ingratiatingly smiling and nodding, as he delivers the “punchline” after the pregnant pause absolutely nails a very specific kind of obnoxious self-satisfaction and entitlement. 6. 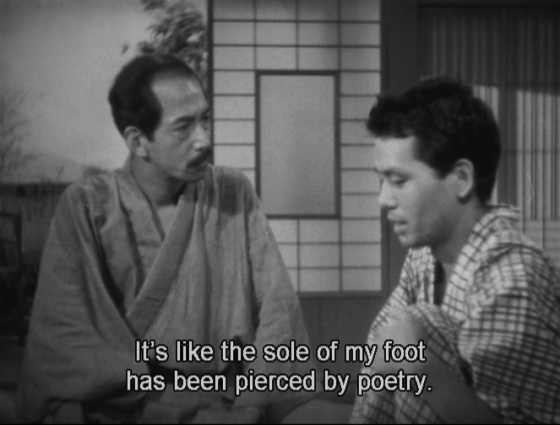 There is one line in the film that is awkwardly dubbed, I suspect for censorship reasons. “Boss” Jim Gettys summons Kane and his wife to the home of Kane’s mistress, Susan Alexander, in the hopes of blackmailing his rival into quitting his gubernatorial campaign. At one point in the middle of a lengthy shot, Gettys says, “We got evidence that’ll look bad in the headlines. Do you want me to give you the evidence, Mr. Kane?” The first of these sentences was clearly overdubbed by Ray Collins, the actor playing Gettys, in post-production and it is obvious that the line he spoke on set was something completely different. If anyone knows what he originally said, and why the line was changed, please let me know! 7. Joseph Cotten is terrific as the young and middle-aged Jedediah Leland but not so good as the elderly Leland. I’m really not sure if this is a problem with Cotten’s acting or with the way his scenes were written and/or directed but the continuity of his character makes no sense to me. I understand that time slows some people down but how does the urbane and sophisticated Leland end up in a nursing home speaking with an exaggerated southern drawl? I’ve entertained the thought that perhaps Leland is putting on an “act” for Thompson, the reporter interviewing him: he does, after all, pretend to forget the name of Xanadu, Kane’s palatial estate. But Roger Ebert notes on the Blu-ray/DVD commentary track that Cotten was unhappy with his old-age makeup, which he felt had been rushed (is that why he’s wearing a visor?). 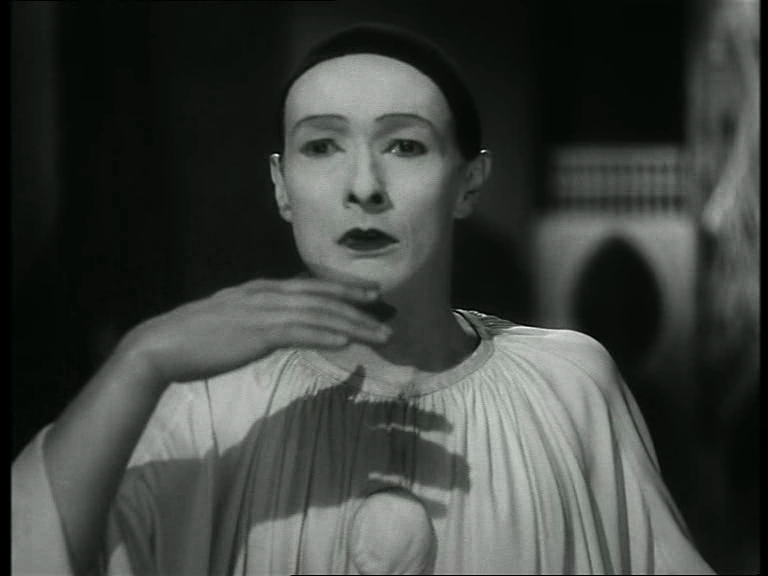 I think it’s more likely that Cotten’s dissatisfaction with his make-up is somehow responsible for his less-than-stellar performance in the scene. 8. 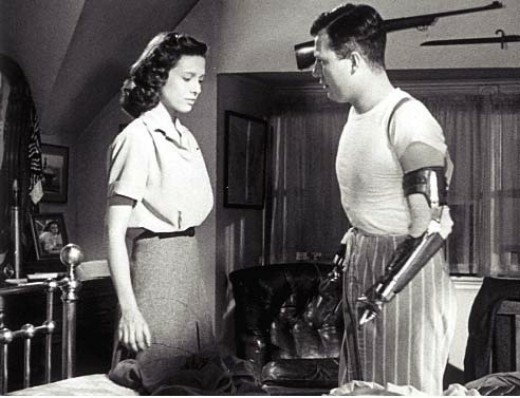 A great bit of non-verbal acting in this same scene: when Leland asks Thompson to bring him cigars wrapped up to “look like toothpaste or something,” the nurse who’s closest to Leland turns and shoots a knowing look at the other nurse present. Assuming Thompson does arrange for a delivery of cigars, there’s no way his package is making it past the hospital’s front desk. 9. Everything that Fortunio Bonanova (the actor who plays Matiste, the singing coach) says and does is hilarious. 10. 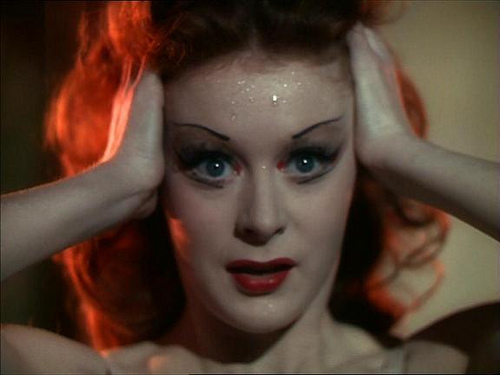 Towards the end of the film, Susan is working on a jigsaw puzzle on the floor of a cavernous room in Xanadu. She asks Kane what time it is. He responds “Half past eleven.” She clarifies, “I mean in New York?” He responds, “Half past eleven.” Does this grown woman really not know that Florida and New York are in the same time zone? The bottom line: The year’s best love story. Now playing in theaters everywhere is J. Edgar, Clint Eastwood’s 33rd film as a director and, judging by the reviews so far, his most critically divisive. It currently has a shockingly low rating of 41% on the popular critical aggregate site rottentomatoes.com, in spite of the fact that it has received raves from a lot of America’s most prestigious critics, including Roger Ebert, The Village Voice‘s J. Hoberman, MSN‘s Glenn Kenny, The New York Times‘ Manohla Dargis and Artforum‘s Amy Taubin. This split decision means that J. Edgar is virtually guaranteed to be shut out during this year’s awards season, which is regrettable because it arguably represents a career high point for everyone involved – screenwriter Dustin Lance Black (whose smart, ambitiously non-chronological script shows a dazzling complexity that advances on his Oscar-winning Milk from two years ago), Leonardo DiCaprio (who gives what Taubin has rightly referred to as his best performance “as an adult”) and Eastwood (who can count this alongside of Unforgiven and Letters from Iwo Jima as one of his three best movies). Where then does the critical antipathy come from? 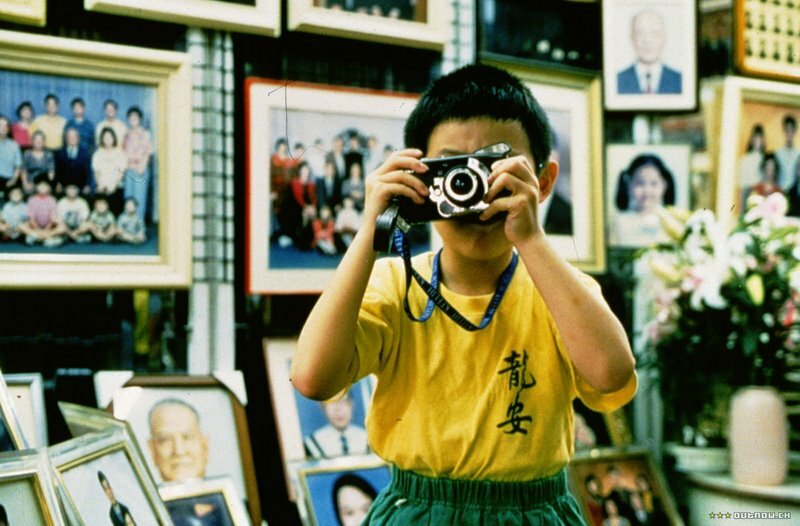 I believe that examining the criticisms that have been hurled at the film so far should also provide some insight into why some other observers, including me, regard it as a masterpiece. 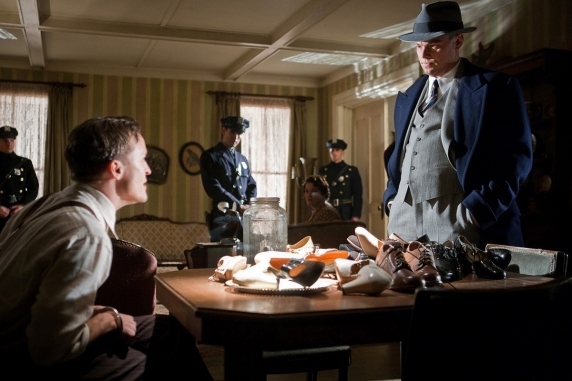 From a formal standpoint, J. Edgar is easily the most complex film Clint Eastwood has ever made. 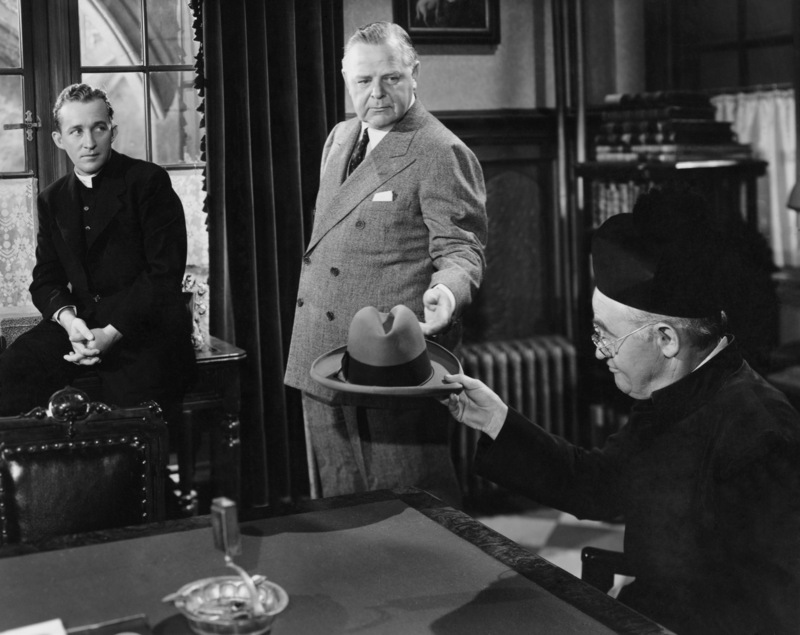 Black’s screenplay spans J. Edgar Hoover’s 48 years as the head of the Federal Bureau of Investigation, a time frame that saw him serve under eight U.S. Presidents, positing him, in the words of the film’s tagline, as the “most powerful man in the world.” Black and Eastwood’s ingenious narrative structure recounts Hoover’s life as a series of flashbacks as he dictates his memoirs as an elderly man in the late 1960s to a series of junior FBI agents – including one who pointedly looks like Barack Obama, one of the film’s many references to American life in the 21st century. 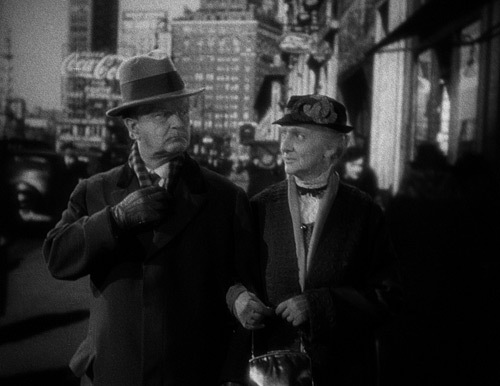 These early expositional scenes contain reams of names, dates and places, thrown at the viewer with lightning speed, sometimes through the dialogue and other times through Hoover’s voice over narration. This is not the relaxed pacing we’ve come to expect from Eastwood but something that feels closer to the “sea of information” approach of David Fincher’s Zodiac and The Social Network instead. For many critics, the sheer arduousness of this exposition, which I argue will handsomely pay off for the patient moviegoer, is strike one against J. Edgar. What is not immediately apparent is the extent to which the flashbacks are meant to represent Hoover’s own highly revisionist and self-aggrandizing version of the events of his life. This is slyly hinted at (but only hinted at) early on in a scene where Hoover is being questioned at a Congressional briefing about his supposed cooperation with the production of comic books and Hollywood movies to promote a more romantic image of the FBI. 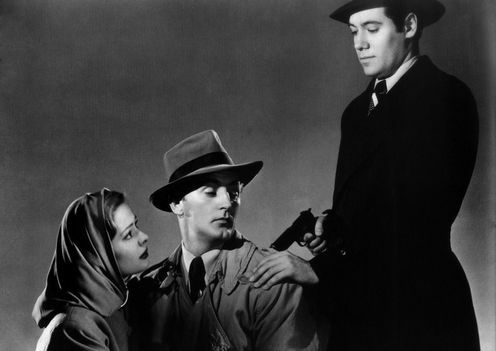 The full extent of the film’s tricky subjectivity doesn’t register until the final act when Clyde Tolson, Hoover’s “number two man” and longtime companion (brilliantly played by The Social Network‘s Armie Hammer), explicitly denounces what viewers have been led to believe is the “truth” of Hoover’s memoirs. If, as Tolson claims, there was no white horse at the scene of an early FBI raid, if Hoover himself wasn’t responsible for arresting Bruno Hauptmann, the Lindbergh baby kidnapper, then how much of the rest of these flashbacks, which constitute the bulk of the narrative, are we supposed to take at face value? 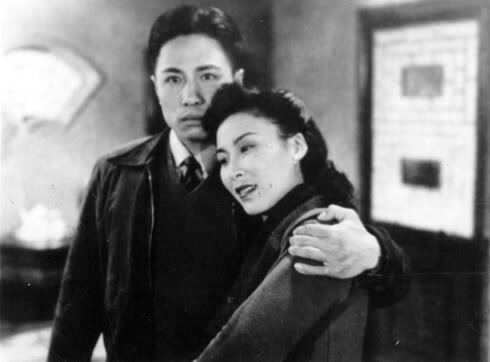 (I guess by the time of Tolson’s denunciation, most critics have checked out of the film anyway.) Imagine a version of Citizen Kane where Kane himself narrates his life story and you’ll have some idea of what Eastwood and Black are up to. 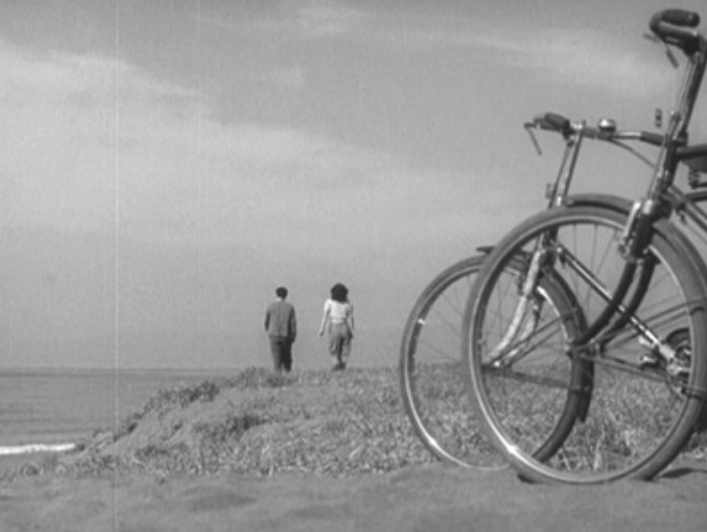 Incredibly, some critics have claimed that the film is “overprotective” of its title character or that it somehow “soft pedals” the Hoover story. Even while Eastwood extends sympathy to his protagonist on a personal level, I can’t imagine a more damning indictment of the man’s deeds; his abuses of power and violations of civil liberties are meant to be disturbing even during his glory years, long before his insane harassment of Martin Luther King. 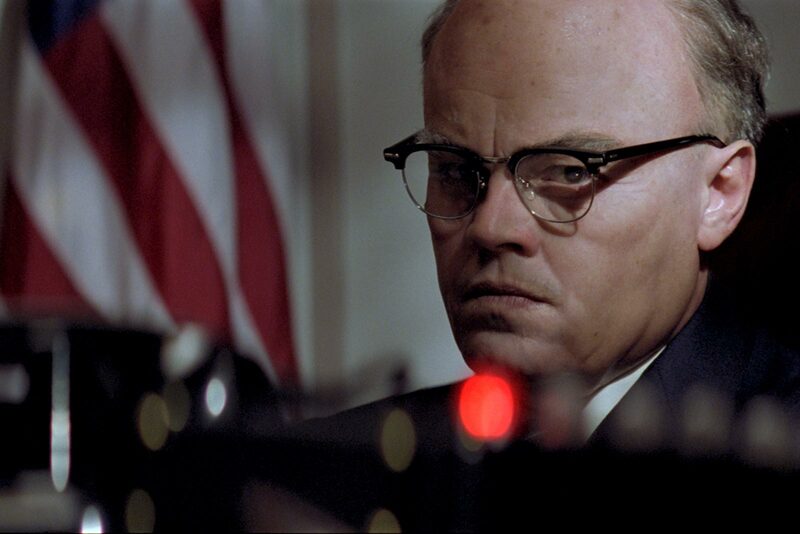 Many critics have drawn parallels between J. Edgar and Kane not only because of the flashback structure and the story arc of an idealistic young man tragically corrupted by power, but also because of the extensive use of makeup and prosthetics. Whether intentionally or not, DiCaprio as old Hoover looks strikingly like Orson Welles as old Kane and most of the barbs aimed at J. Edgar have come from critics unfavorably comparing the former to the latter. The best rejoinder to this criticism comes from Taubin who compares the J. Edgar makeup to what one would find in an “amateur production of Tennessee Williams where the actors are 20 years too young for the roles they are playing, but nevertheless their struggles move you to tears.” I too find the performances of DiCaprio, Hammer and even Naomi Watts (as Helen Gandy, Hoover’s fiercely loyal secretary) moving precisely because I am aware of the actors being “too young” in much the same way that I am moved by the flashbacks in The Man Who Shot Liberty Valance, another great memory film, precisely because John Wayne and Jimmy Stewart are “too old.” I would go so far as to say that Hoover’s old age makeup is meant to look like make-up in a film whose main character always wore a figurative mask and whose motto was “we must never lower our guard.” Think that’s a stretch? 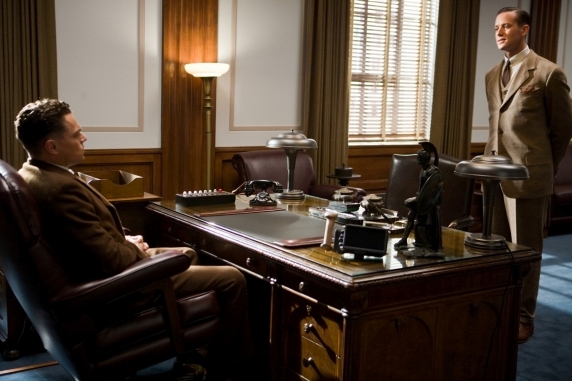 Consider that the first shot we see of Hoover in the movie immediately follows a close-up of John Dillinger’s death mask on the FBI director’s office desk. Most of the praise that the film has received, even from its detractors, has been aimed at Leonardo DiCaprio’s bravura lead performance, and rightfully so; in much the same way that we are aware of the old age makeup, we are also acutely aware at all times of DiCaprio behind Hoover. This is as it should be. As a director, Clint Eastwood has gotten a lot of mileage out of manipulating his own iconic persona as an actor. Gran Torino, for instance, is enriched by our understanding that we are watching not only the character of “Walt Kowalski” as the film’s inevitable climax approaches, but also Dirty Harry and even Unforgiven‘s Will Munny. 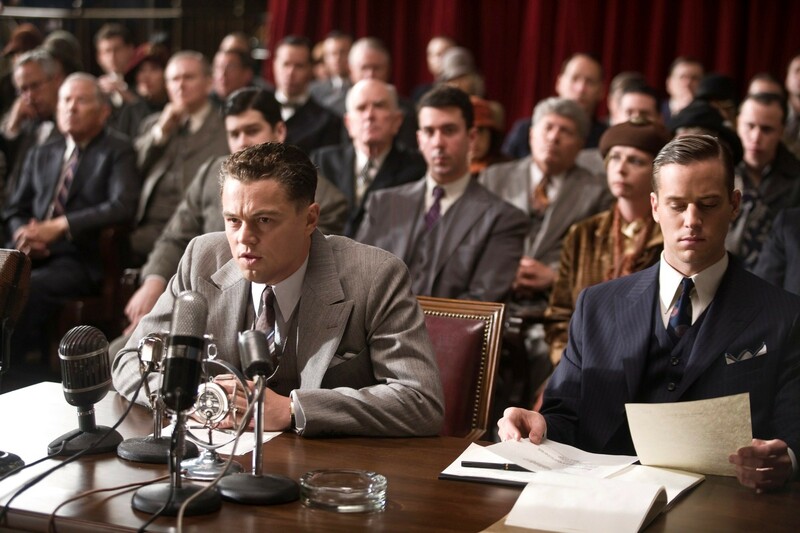 Here, Eastwood does something similar with DiCaprio’s persona; the post-Titanic penchant DiCaprio has shown for playing intensely neurotic, obsessive-compulsive characters reaches its apex in a scene where J. Edgar Hoover, following his mother’s instructions, stares into a mirror and repeats the mantra “I’m a proficient, remarkable lad capable of proficient and remarkable feats. I’m a proficient, remarkable lad capable of proficient and remarkable feats . . .” At this moment we are looking not only at Hoover but DiCaprio and Howard Hughes, a multiplicity that makes the film more resonant. 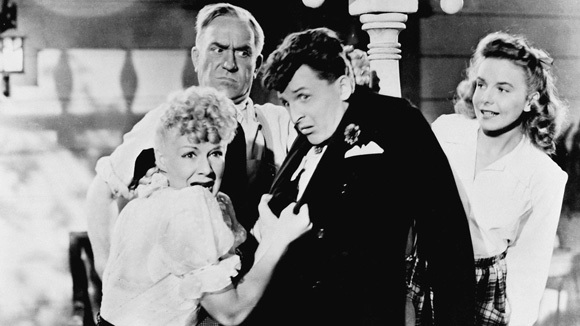 It is in the more intimate scenes, alternating between Hoover and his mother (a terrific Judi Dench) and between Hoover and Tolson, that Eastwood reveals the film’s surprisingly poignant emotional core – especially since these scenes can be seen to inform each other in a subtle dialectical play: Mrs. Hoover telling her beloved Edgar that she’d “rather have a dead son than a daffodil for a son” is a disturbing but bracingly believable explanation for why Hoover and Tolson, even as grown men in the privacy of their own homes, are incapable of consummating their platonic love affair. 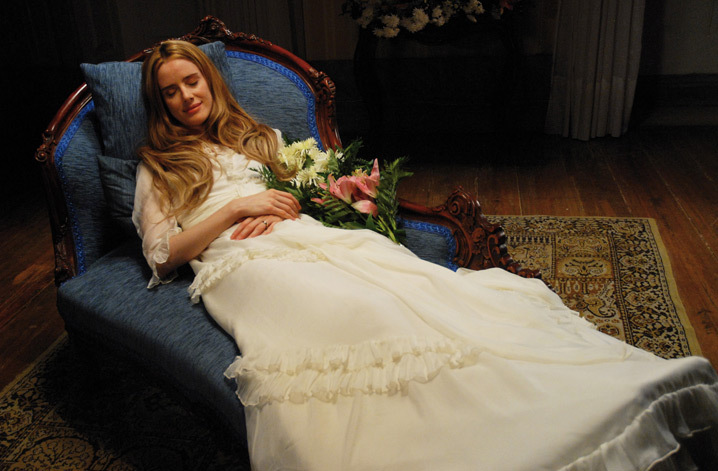 (Some critics have bizarrely claimed that the film is “ambiguous” in its treatment of Hoover’s sexuality. It strikes me as inarguable that the film presents Hoover unambiguously as a repressed homosexual who is incapable of acting on his desires.) Even after Mrs. Hoover’s death, the specter of her domineering presence can be felt in the furnishing of her Victorian bedroom, which we see her son has immaculately preserved for decades, in one of the film’s several nods to Psycho, right up until the moment of his own death. 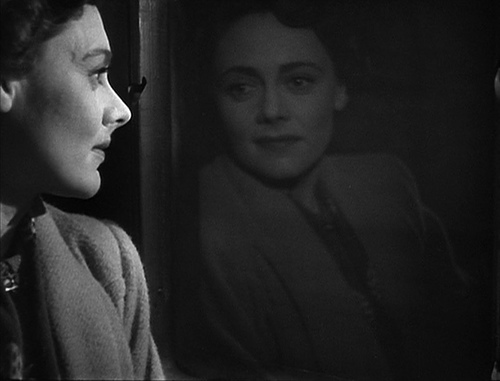 But the film’s true emotional climax comes a little ealier, in the staid final scene between Hoover and Tolson as old men; the frontal compositions, marvelous underplaying of the actors and patently restrained Eastwood score put me in the mind of nothing so much as the transcendental final scene of Dreyer’s Gertrud, another masterpiece unjustly criticized for “theatricality” in its day. 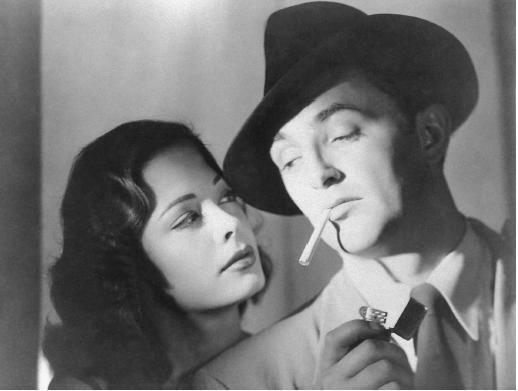 Technically, J. Edgar is a tour de force. The low-key lighting and desaturated color palette of Tom Stern’s cinematography perfectly reflect the shadowy morality of Hoover’s universe. The period details of James Murakami’s sets and Deborah Hopper’s costumes, from the 1920s to the 1960s, all feel impeccably right. And the tight, highly compressed quality of the zig-zagging narrative (the two hour and seventeen minute running time was pared down by Eastwood and his longtime editors Joel Cox and Gary Roach from an initial three hour cut) always feels supremely confident. Like Martin Scorsese’s Shutter Island, J. Edgar offers an audacious mix of darkness, intelligence and complexity aimed at adult viewers that may seem out of step with contemporary critical tastes, but it also seems destined to age exceedingly well with time. 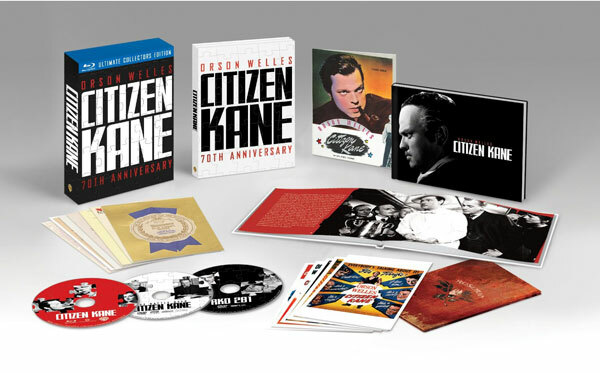 Warner Brothers’ newly released “Ultimate Collector’s Edition” of Citizen Kane, a magnificent Blu-ray package timed to coincide with the film’s 70th anniversary, is one of the most significant home video releases of all time and a must-buy for anyone who loves movies. Not only is this the definitive presentation of the film widely regarded as the greatest ever made (making up for several previously botched VHS and DVD releases), it also comes stuffed with copious supplemental materials. Some of these extras are admittedly worthless BUT among the goodies is a DVD of The Magnificent Andersons, Orson Welles’ great follow-up to Kane and a movie previously unavailable in any digital format in the United States. This release also provides me with a good excuse to finally blog about a film I’ve shown in the majority of my Intro to Film classes but never actually written about; it seems a daunting challenge to put fingers to keypad when the subject is an ivory tower masterpiece with mountains of published criticism already devoted to it. Nonetheless, here goes . . . 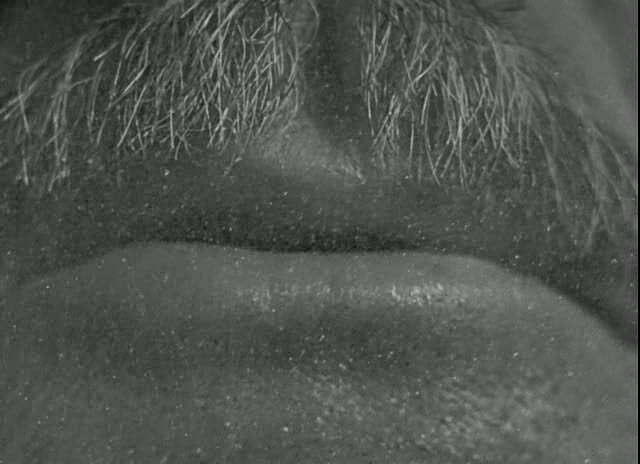 Narrative Continuity – Welles studied the rules of narrative continuity filmmaking before making Citizen Kane. Specifically, he studied John Ford’s Stagecoach, a particularly beautiful example of a classical narrative movie. While preparing Kane, Welles screened Stagecoach every day for over a month and watched it with different members of his crew each time. 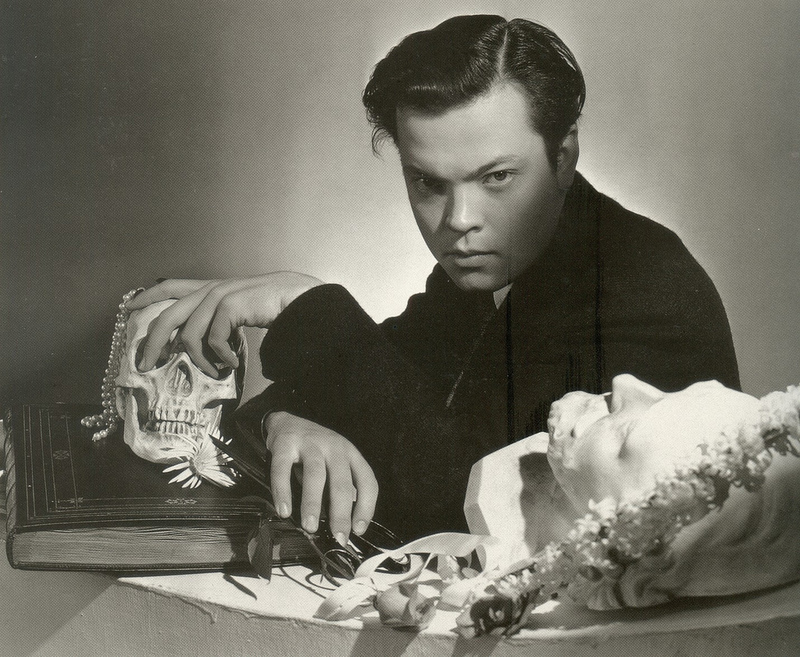 Throughout the screenings, Welles would ask his technicians questions to try and figure out how Ford had put his movie together. 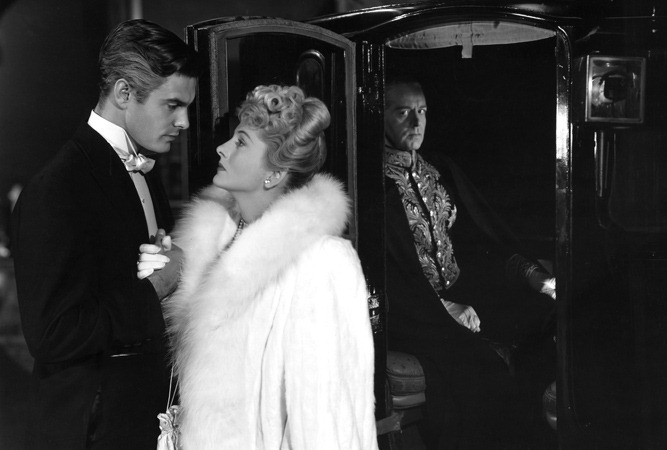 It was from Stagecoach that Welles learned the basic rules of narrative continuity (how to shoot and edit a scene so that time, space and action continue smoothly from one shot to the next). 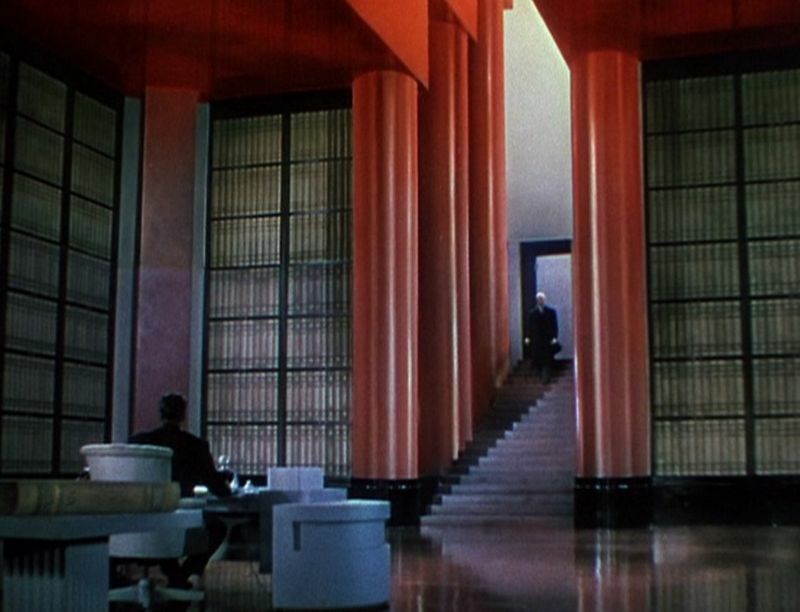 It may also have been the inspiration for Citizen Kane‘s much commented upon low angle shots, in which the ceilings of the sets are clearly visible, a rarity for the time. 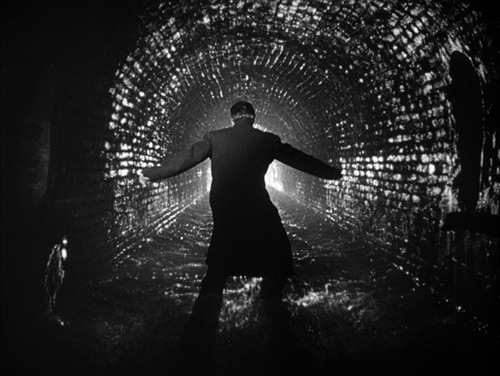 German Expressionism – Citizen Kane features the most artful and self-conscious instances of high contrast and low-key lighting, courtesy of ace cinematographer Gregg Toland, that had ever been seen in a Hollywood film up to 1941. 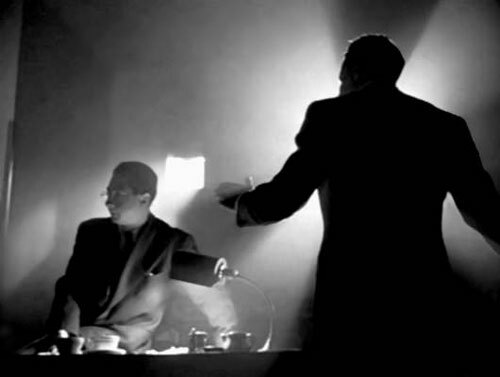 A good example is the scene that occurs in a screening room early in the movie when a group of reporters converse about a newsreel on the life of the late Charles Foster Kane. 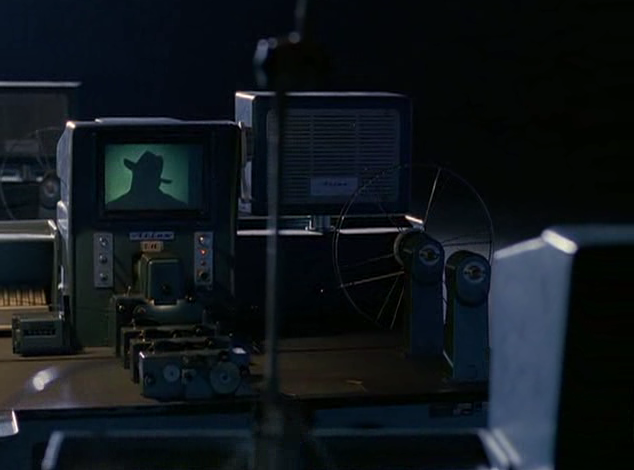 The contrast between the light and dark areas in the frame of every shot in this scene is extremely dramatic with the faces of each character intentionally hidden by shadows even while the light from the projector behind them is blindingly white. 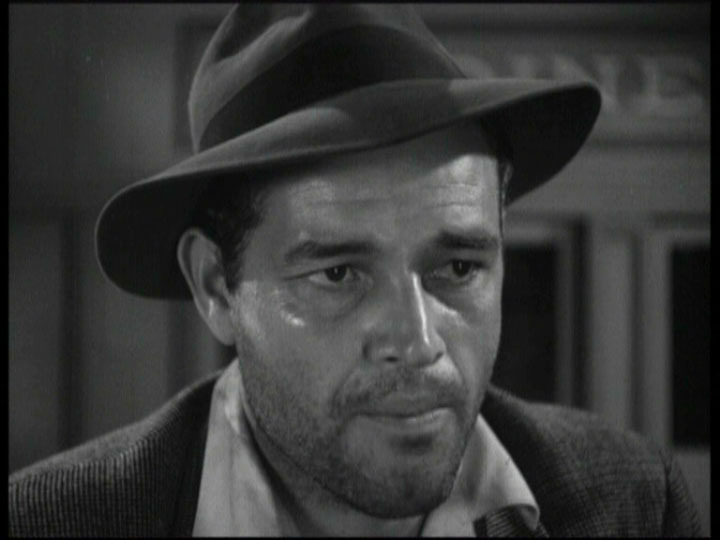 This is also the audience’s introduction to the character of Thompson, the reporter who will spend the rest of the film interviewing Kane’s closest living acquaintances to complete the documentary. Fittingly, we will never clearly see Thompson’s face throughout the movie, a strategy that allows Welles to posit this character as a surrogate for the viewer. 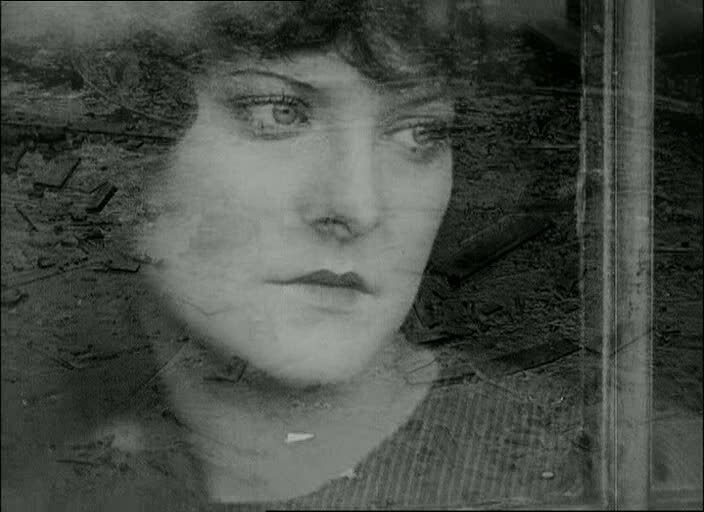 Soviet Montage – Welles was familiar with the the Soviet Montage films of the 1920s (as evidenced by his rapidly edited debut short The Hearts of Age) and Citizen Kane features several impressive montage scenes. The most beloved is probably the exceedingly clever breakfast table montage where the disintegration of the marriage between Kane and his first wife Emily is condensed into a two minute sequence spanning many years. 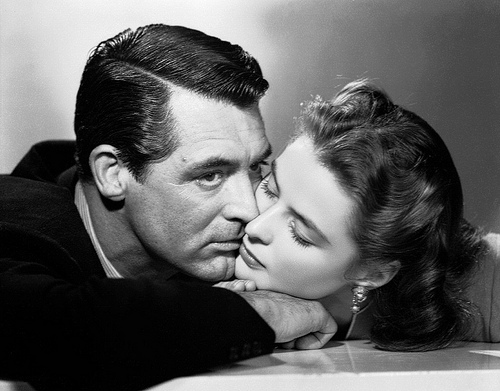 In the first part of the scene, Kane and his new bride are sitting virtually side-by-side and engaging in flirtatious banter. Here, Kane looks like the impossibly young and dashingly handsome man that Welles was. Then, as the scene progresses and the convincing middle-age make-up is piled on, the distance between Kane and Emily, both physical and emotional, increases to the point where the characters are no longer speaking but reading rival newspapers in icy silence instead. 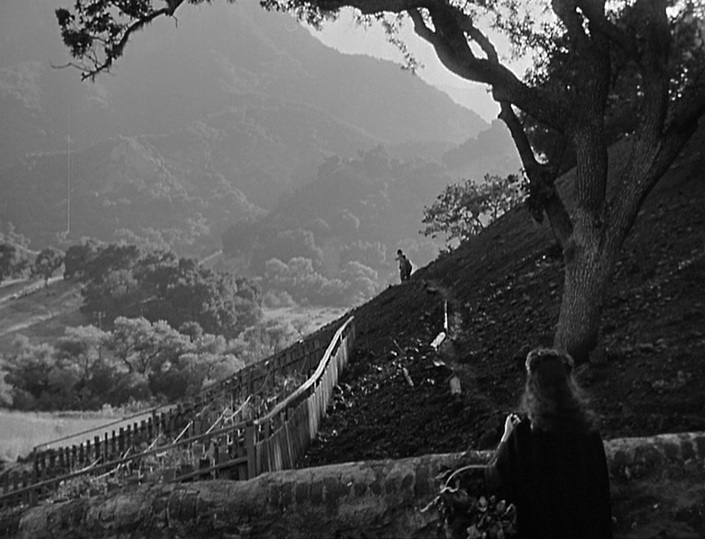 The depressing nature of the scene is effectively offset by the wittiness of Welles’ staging and cutting. 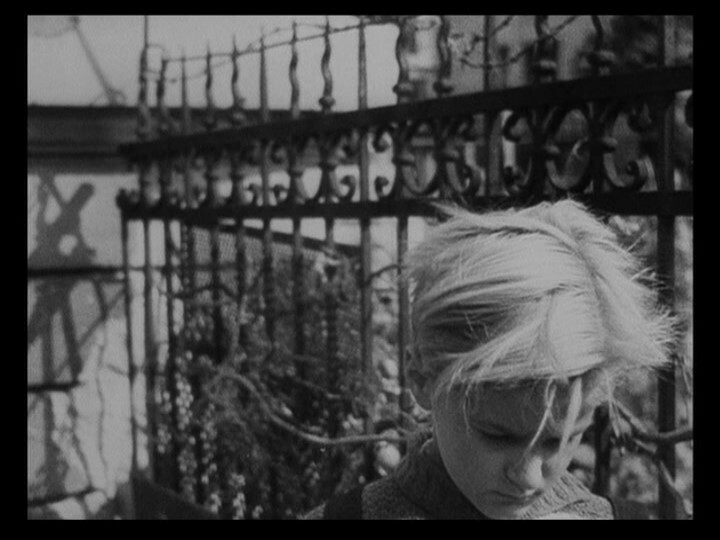 French Poetic Realism – Poetic Realism, a movement that defined itself in opposition to Soviet Montage in terms of style, was predicated on long takes and long shots. 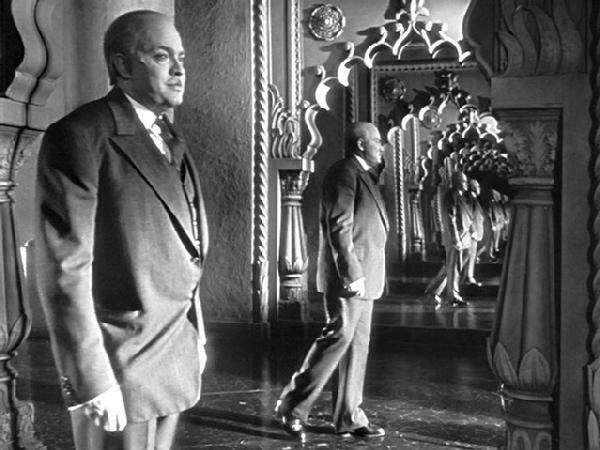 Citizen Kane has these qualities in spades, which is unsurprising given Welles’ fondness for the films of Jean Renoir (Welles once cited Grand Illusion as his favorite movie of all time); but Welles’ predilection for deep-focus cinematography saw him push the style to an operatic extreme that even Renoir would have never dreamed of attempting. 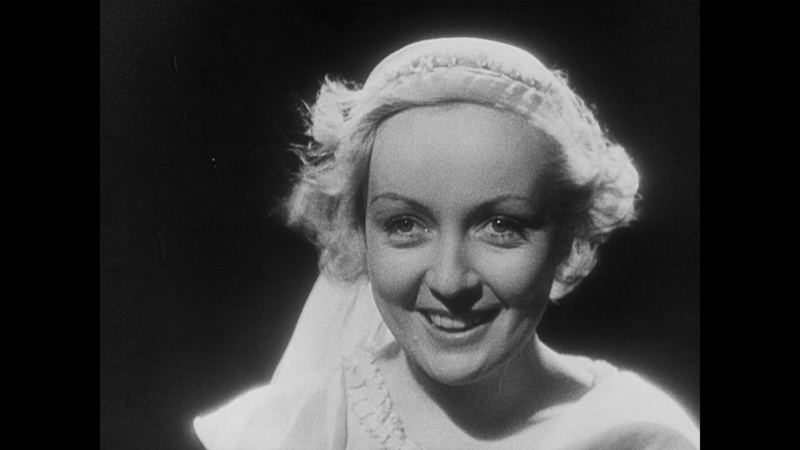 A newly released super-fast film stock allowed for a greater depth of field than ever before and Welles took full advantage by composing images in which important visual information would appear simultaneously in the extreme foreground and extreme background of a shot. A good example is the dialogue scene between Walter Thatcher and Mr. and Mrs. Kane inside of a boarding house in which young Charlie can be observed playing in the snow through a window in the distance behind them. 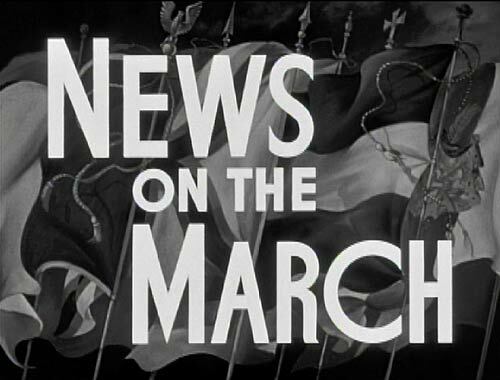 Documentary Film – Citizen Kane bears the influence of the documentary/non-fiction mode of filmmaking, especially in its opening faux-newsreel sequence “News on the March” (a parody of the “March of Time” newsreels of the day). Welles’ masterful employment of specific aesthetic qualities associated with this mode of filmmaking (jump-cuts, heavily scratched footage, handheld camera shots, etc.) 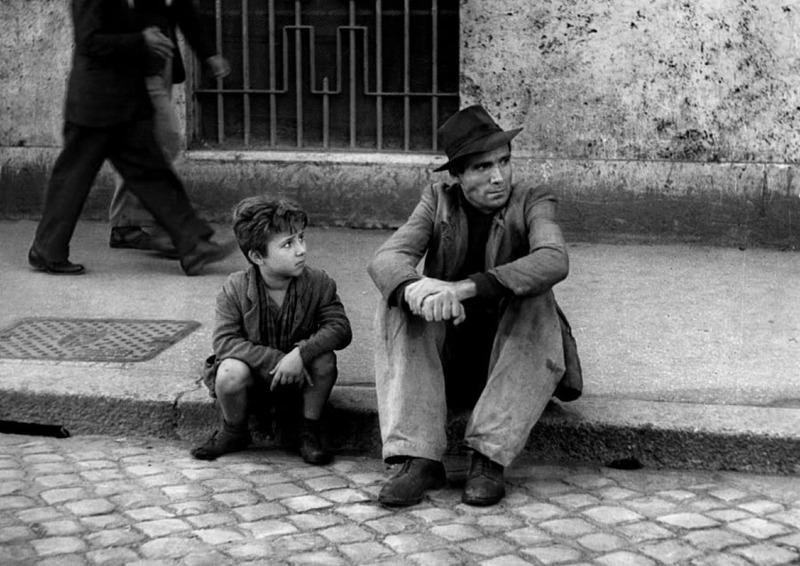 conveys a sense of realism while also greatly adding to the visual wit of the film. 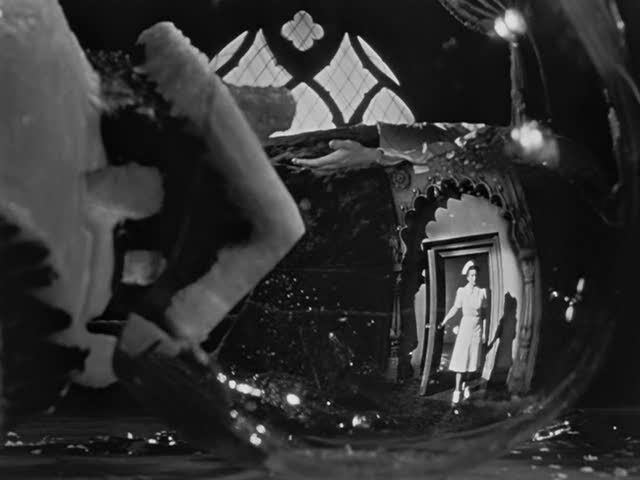 In terms of narrative, Citizen Kane also had a more complex and intricate flashback structure than what had ever been seen in a Hollywood movie up to that point. The bulk of the narrative is taken up by five lengthy flashback sequences. 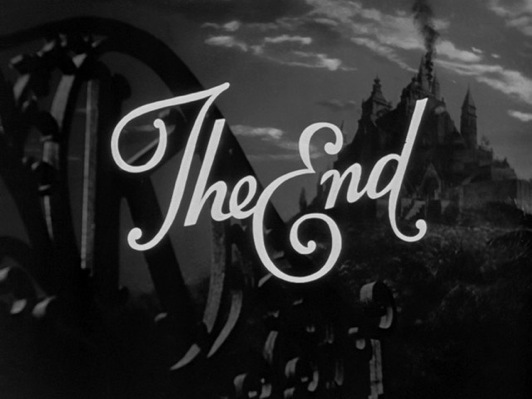 The film begins with the death of its protagonist, Charles Foster Kane, and then skips back over his life in non-chronological order as Thompson listens to (and in one case reads) the reminiscences of those who were closest to him. These recollections serve as the catalysts for the flashbacks, which allow Welles to cleverly introduce the idea of the unreliable narrator. That is to say, none of the five flashbacks necessarily represent the way things “really happened”; instead, they represent the way each character remembers them happening. 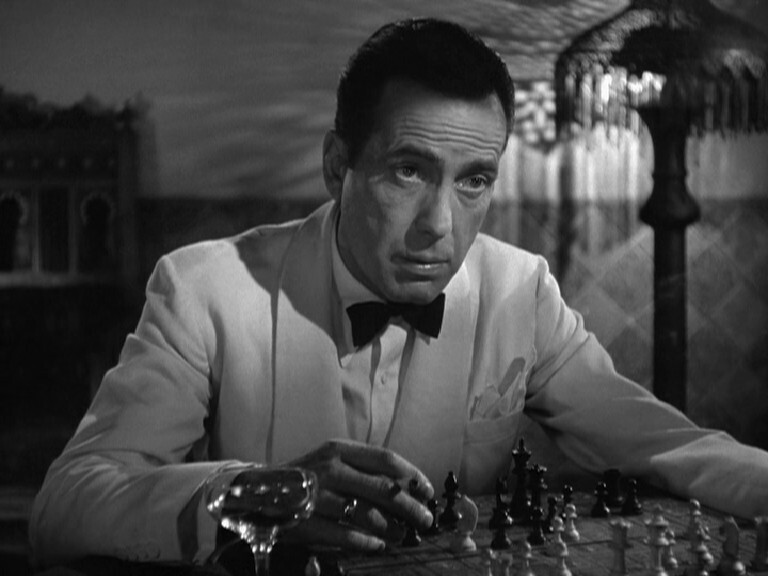 Notice, for instance, how much more likable Kane is in Mr. Bernstein’s recollection of him than in that of Mr. Leland. Another function of the flashbacks is to allow for abrupt shifts in tone. 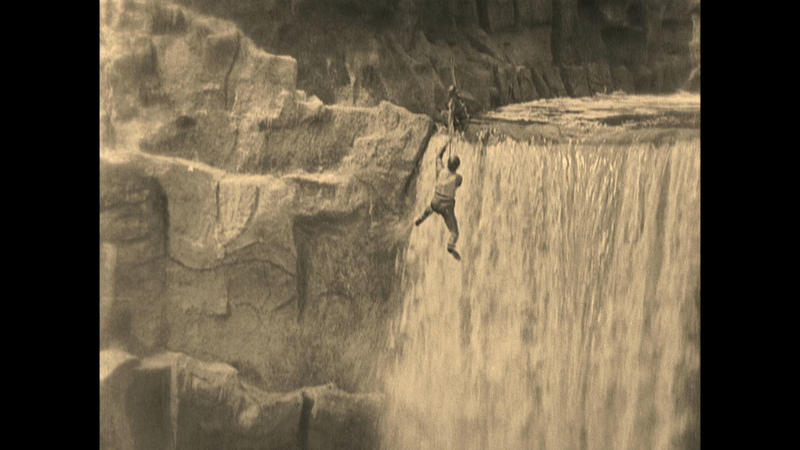 Throughout Citizen Kane, as we jump from one point-of-view to another, we also jump from one film genre to another. 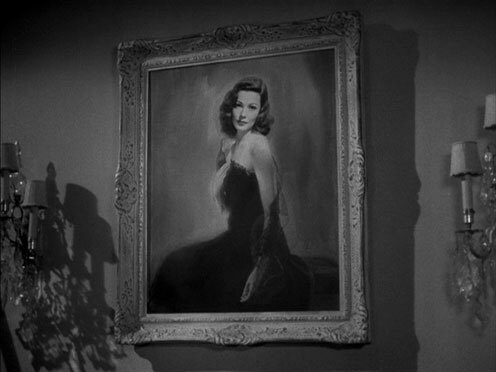 Among the many genres encompassed by Kane are: the biopic (the rise and fall of a great man who bears a strong resemblance to a real life figure), the newspaper reporter movie (a popular genre in the ’30s and ’40s in which a reporter attempts to uncover the truth in pursuit of a story), the mystery (who or what is Rosebud? ), the backstage musical (Susan Alexander preparing for her opera debut is similar to the “hey, we’re putting on a show”-type of musicals popular in the ’30s) and even the romantic comedy (a meet-cute involving Kane, Susan and a mud-splattering, horse-drawn carriage). Warner Brothers’ high-definition digital transfer of Citizen Kane greatly improves upon all previous home video releases. 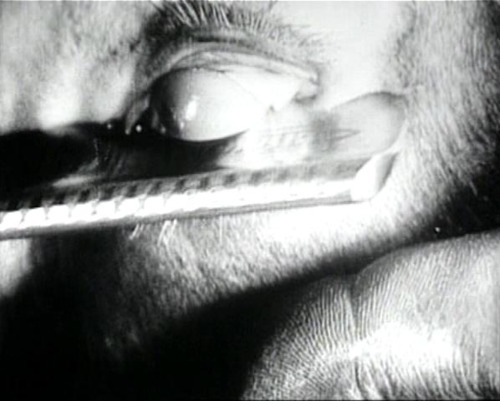 This includes a 50th anniversary VHS edition “supervised” by editor Robert Wise that appeared overly bright and had purists complaining about attempts to “normalize” the film’s radical style as well as a 60th anniversary DVD edition in which fine object detail was lost due to an overzealous “restoration.” The Blu-ray corrects both problems by presenting Kane the way it was meant to look: with blacks rich and inky in the high contrast sequences, with incredible clarity and detail visible in all shots (including a restoration of the rain falling outside of Bernestein’s window that had been notoriously scrubbed off of the previous DVD) and a nice sheen of film grain over everything. The soundtrack is wisely presented only as a lossless rendering of the original mono track. No attempts to create a new 5.1 surround track could improve upon Welles’ glorious, incredibly innovative original mono mix in which a creative use of sound effects, a superb Bernard Herrmann score (his first! ), and the mellifluous voices of some of the greatest theatrical and screen actors of all time jockey for the viewer’s attention. It is simply impossible for me to imagine this greatest of American films ever looking or sounding better on a home theater system. If that sounds hyperbolic, well, sometimes only hyperbole will do.